What a weekend! 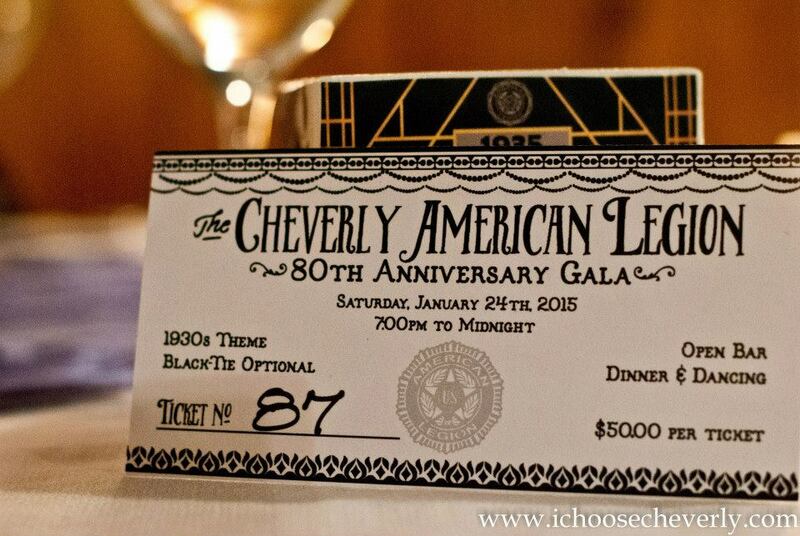 If you missed the Cheverly American Legion 80th Anniversary Gala you should be kicking yourself right now. Seriously, what a party! I was grateful to go and take pictures and I’m so excited to share them with you. Right now I’m in the middle of the editing process but hope to have them available to see tomorrow or on Wednesday. Once you see the photos, you will wish you were there. Huge huge thanks to everyone who put this together. The Legion looked stunning and so did all of our neighbors. This weekend wasn’t the only anniversary being celebrated in town. It was 7 years ago that I met my husband for the first time. 8 months later we got married at the Cheverly United Methodist Church, 1 year after that we got pregnant with our now 5 year old son and 2 years later we had another boy and moved from the East side of Cheverly to the West side! So many beautiful memories in our lovely town. I’m grateful. My husband and I braved the feared Friday night snow storm to go to Clarksville, MD- about a 30 minute drive from Cheverly. My husband, a carnivore who loves meat, took me to my favorite vegan restaurant, The Great Sage. Even for the meat loving man that he is, Tim enjoyed the most delicious meal. I can’t wait to go back. Show Clarksville some love and head to The Great Sage– you won’t be disappointed.